The perfect living space for you is right here at The Residences at Vinings Mountain Apartments. Take your pick of our spacious one, two, and three bedroom apartments for rent in Atlanta, GA, near Smyrna. 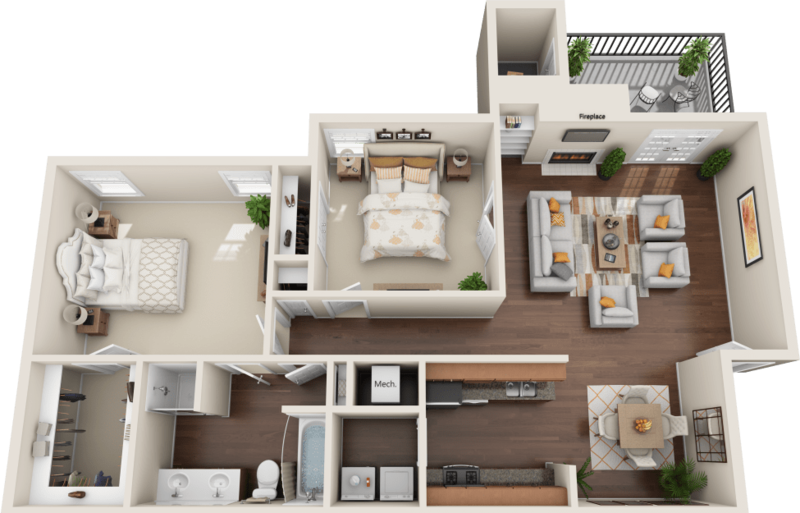 Inside your new home, you’ll be treated to the modern amenities you need to keep your life running smoothly, plus stylish yet functional features and finishes you would expect to find in a custom home. Each floor plan includes chic, easy-to-clean wood-style flooring, high ceilings, and an in-home washer and dryer, plus over-sized closets and a built-in dry bar in specific homes. Select floor plans have been updated with granite countertops and stainless-steel appliances. For an added touch of elegance, choose a floor plan with views of Downtown Atlanta or scenic Camp Bert Adams Lake. 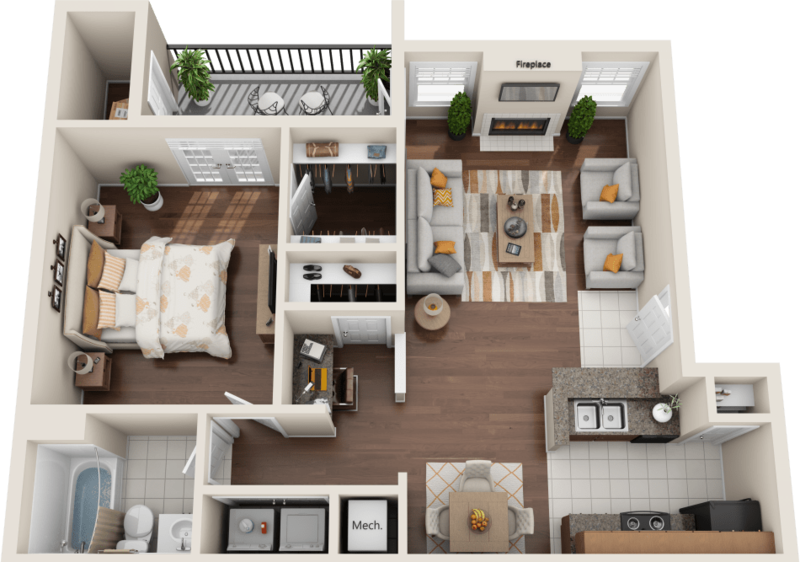 At The Residences at Vinings Mountain, we offer a variety of layouts so you can choose the floor plan that’s right for your needs. 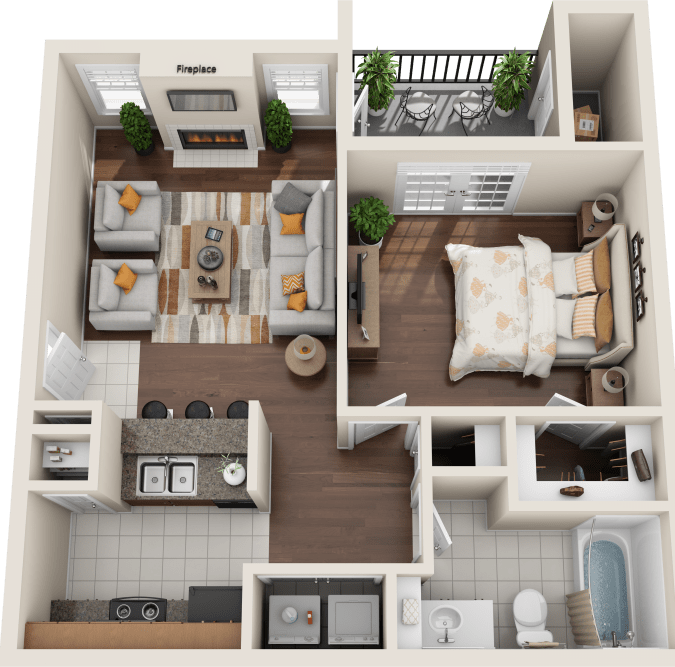 Our cozy one bedroom apartments in Vinings, near Downtown Atlanta, are available in two floor plans, ranging from 705 to 850 square feet of living space. 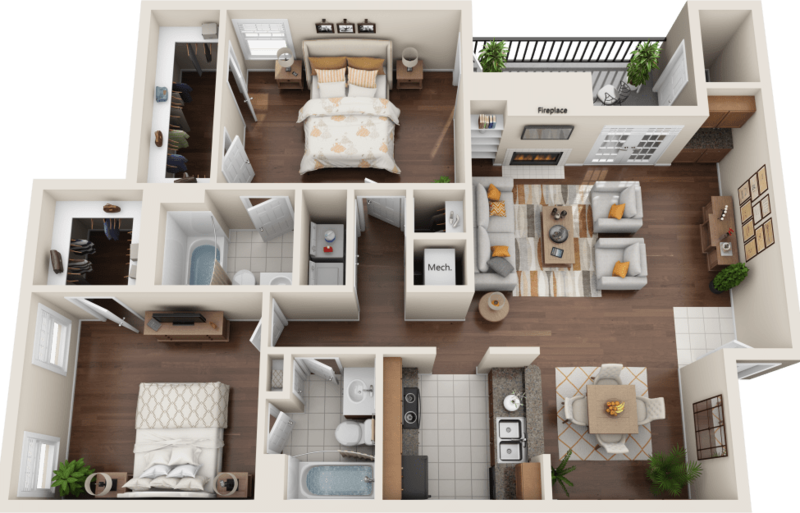 Our two bedroom, one bathroom apartments measure 1,111 square feet, while the two bedroom, two bathroom apartment homes offer up to 1,213 square feet for you to enjoy. 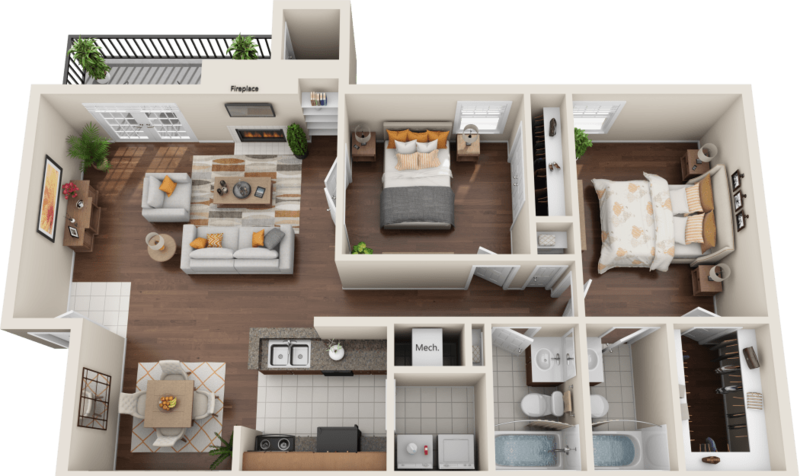 Those looking to maximize their living space will appreciate our generous three bedroom, two bathroom apartments with up to 1,415 square feet of space. 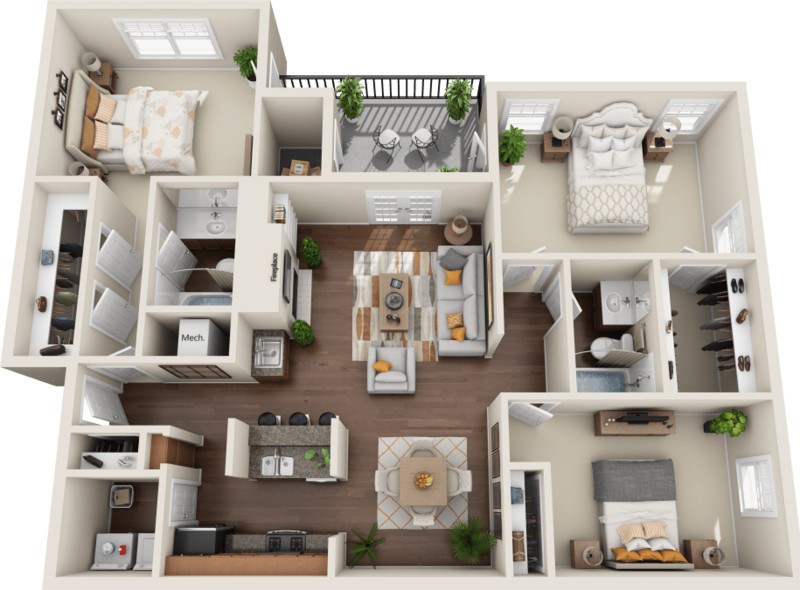 No matter your needs for space and style, you’re sure to find that just-right floor plan for you at The Residences at Vinings Mountain. Call and schedule your personal tour today for an in-person look at your favorite layouts.